There is a debate going on in the state of Minnesota about how to deal with elevated amounts of phosphorous in the state’s waters. This is not a new problem for Minnesota since the inception of the 1972 Federal Clean Water Act. Minnesota has worked diligently to improve its water quality, including trying to reduce the levels of phosphorus in their rivers and lakes. Why is Phosphorus Such a Problem? Phosphorus is an element commonly found in agricultural fertilizers, manure and organic wastes found in sewage and industrial discharges. Too much phosphorus in lakes, rivers and streams causes algae to grow. 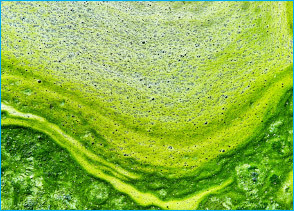 Algae-covered water is less attractive for fishing and swimming and other forms of aquatic recreation. Excessive phosphorous can feed the growth of toxic blue-green algal blooms, which are harmful to people, pets and wildlife. Heightened levels of phosphorus spur the excessive growth of nuisance algae. When there is too much algae in surface water and that algae dies, the rotting algae can deplete the oxygen in the water and result in fish kills. Severe algae blooms may directly poison animals that consume the algae or cause allergic reactions in people who swim in the polluted water. At the center of this debate is the Minnesota Pollution Control Agency (MCPA) and the focal point of the debate is how to best regulate the amount of phosphorous making its way into Minnesota waters. The MPCA is responsible for setting standards and regulations concerning phosphorous. A recent set of regulations designed to decrease the amount of phosphorous flowing into the state’s waterways is proving to be a bone of contention and many who agree with the MPCA’s desired end result, disagree with the methods put in place to reach those goals. Currently, 41 cities out of the 147 cities located in the Minnesota River Basin are disputing the new regulations and telling the state that the proposed reduction of phosphorous standards to be implemented could cost millions in required upgrades to water treatment facilities and in the long run produce minimal results. Many of the communities affected by the new regulations are already meeting phosphorus standards of 1 mg/L or less in their wastewater discharges. Will the Added Expenses Produce the Desired Results? The proposed regulations by the MPCA will be significantly more stringent and will require substantial upgrades to many systems. End-of-pipe point sources account for less than 10 percent of the phosphorus discharged into the river basin. Some cities are making the case that the proposed regulations won’t lead to the attainment of the desired water quality standards and will have minimal impact on reducing algal growth in the river, which should be the end-result of the proposed rules. Considering that there are other sources contributing to the overall level of phosphorous in the river, is this actually the best approach to help the river? Some research and modeling suggest the proposed regulations will not make a significant impact. Others have argued that the new MPCA regulations would essentially eliminate an effective phosphorus trading program set up 10 years ago that allows smaller communities to obtain phosphorus credits from larger wastewater treatment utilities. Some believe the current approach proposed by the MPCA would waste fiscal resources that could be used more effectively to clean the Minnesota River and that even if all of the state’s municipalities could attain a zero phosphorus discharge, the algal levels in the river would not change. The people of Minnesota clearly have no problem investing additional resources to find an equitable and effective way to clean the river. How best to accomplish goal that is what is still being debated. PeopleService joins with the citizens of Minnesota in their vow to protect Minnesota’s natural beauty and the integrity of its waters. No matter the end result of the great phosphorus debate, we will work with communities to meet all regulatory standards in a way that’s affordable, efficient, and safe for residents. Plus, we will ensure that this beautiful state that so many of our own team call home remains pristine.